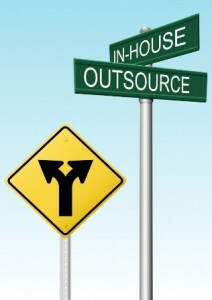 Logistics Outsourcing can be a bit of a minefield to navigate through. I’ve helped dozens of organisations over the years through the process, or have helped them improve their existing logistics contract relationships. So I thought it might be useful to provide a Logistics Outsourcing Guide. But rather than just provide a boring technical ‘hand book’, I wrote a Novel. Yes, a Novel. I find through my many seminar and conference engagements that people learn the principles of any topic much faster through stories and case studies. So……..a Novel. This book covers the relationship between two ‘pairs’ of organisations. Two 3PLs (Third Party Logistics) companies and their clients. One pair gets it right and ends up with a mutually valuable relationship whilst the other pair really go through a bit of a disaster. The stories are taken from my experiences and observations over many years of consulting to top 200 companies around the Australia and SE Asia regions. You can check out the book over here, where it can be downloaded along with some really useful bonuses. A simple step-by-step guide to avoid the common outsourcing mistakes that cost your company money. In Three parts! A Guide to structuring logistics outsourcing rate structures. A powerful ‘outline contents list’ for your Request for Tender (RFT) that saves you time and hours of effort. A ‘never made public’ outline project plan for outsourcing Logistics. I hope you find the eBook and free bonus guides useful. many people already have.